Customer relationship management (CRM) is the process of generating new leads and then nurturing them through the channel. CRM software allows the collection of data in a centralized source, giving each part of the organization the ability to draw upon it when needed. A CRM system is most commonly used by marketing, sales and support agents and other stakeholders in the company to make informed decisions. With a fully automated customer relationship management system in place you’ll be able to automate sales and marketing tasks, with purchase history analytics to help determine what customers need before they even ask for it and which customers are most likely to convert. Since all the systems are under one roof it’s very easy to see the highest performing marketing channels for leads and adjust dollars accordingly. With marketing automation you can have social and email campaigns specific to certain rules. This relational intelligence allows you to understand the value of each relationship, what has been effective and what will be effective based on comparison with others. Personalization is a major theme in marketing these days largely due to the fact that the average person is subjected to thousands of marketing messages per day and has a well developed sense of sub-conscious ignore. Personalization and pressing need are some of the few things that get through the noise and use of a CRM system allows you to tailor your pitch based on their unique attributes and needs. With each contact and every purchase you’ll know more about them, their entire history with your company is available to every support, marketing and sales agent. Imagine you had 1,000 potential clients but you only had time to pursue 100 of them. How would you know which 100 would be the most profitable? And how would you know what products to offer them? This is where a CRM system excels since you have sufficient data to identify demographic, geographic, behavioral and even psychographic trends. Many organizations find it a challenge to switch over to CRM due to the myriad of ways their current systems are implemented. In order to be truly successful the software should cover just about all possible points of contact with a customer and internal employees should buy-in religiously to using it. One of the most common complaints from companies trying to adopt a CRM system is trouble getting employees to use the system all the time. A customer engages with a brand over many channels of communication: web, phone, email, forms, surveys, chat, social media. Putting all this together with purchase data creates a complete picture of the value of the customer, they types of needs they have, the issues they have experienced. In an aggregated form this gives you a big picture of the customers who are driving your growth and their needs and challenges. A CRM system makes it easy to see all previous issues a customer has had and their purchase history. Some organizations put certain users into tiers based on their revenue with a company, with larger enterprise clients getting a premium service level agreement (response time). Many Customer relationship management software programs have knowledgebase and expertise features that allow teams to share knowledge. You can post questions to a group, appoint experts and freely share feedback. Team and individual based goals are also very common to help keep team members motivated and working towards an end point. With any large organization it’s important to provide a consistent experience for the customer regardless of which employee or department they are in touch with. If every employee understands your relationship with the company, your issues and needs better – it’ll be easier for them to provide a more consistent experience. The ultimate goal is for a more consistent and relevant form of communication. They are many CRM software solutions but a handful really dominant the field like Salesforce, Microsoft Dynamics, Zoho and SAP. Salesforce is the market leader with a single platform that connects all points and combines it with sales data and into email systems for marketing and support. This allows sales agents to focus on finding new leads and connecting with customers. Microsoft Dynamics also gets high marks for its systems with mid to large enterprise clients. Insightly is a free for up to 2 users system that is geared towards small businesses. Nimble is also a very popular low cost option for small to medium sized businesses. 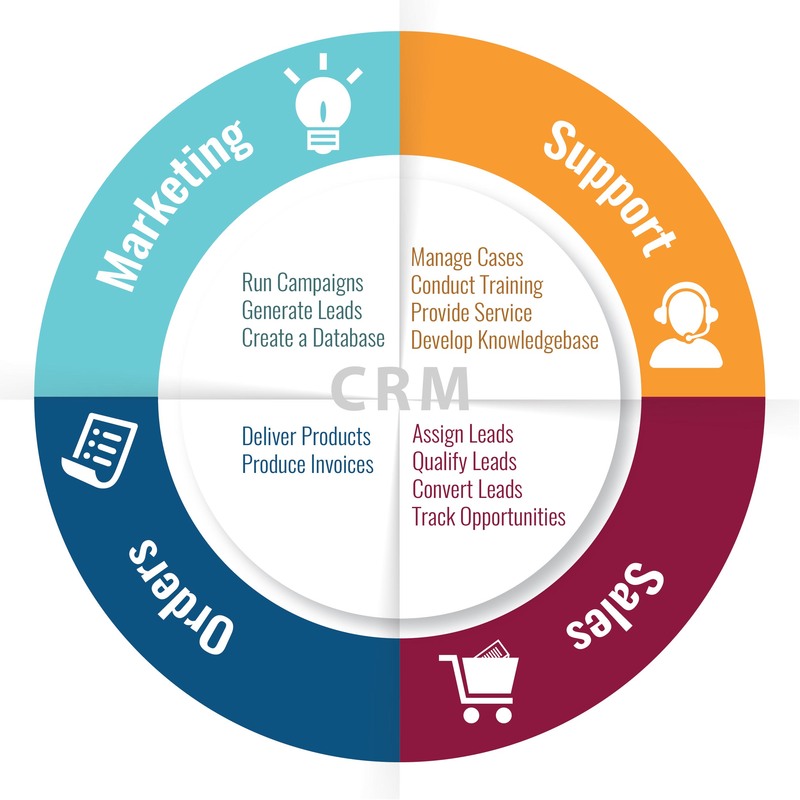 Have you used CRM software before? Share your experience in the comments.